These flavorful and pungent red and yellow storage onions are just the thing for soups and stews…. and every other recipe that starts with some chopped onion in a hot pan. These open-pollinated beauties are called Rossa Milano and Dakota Tears, which live up to their name. 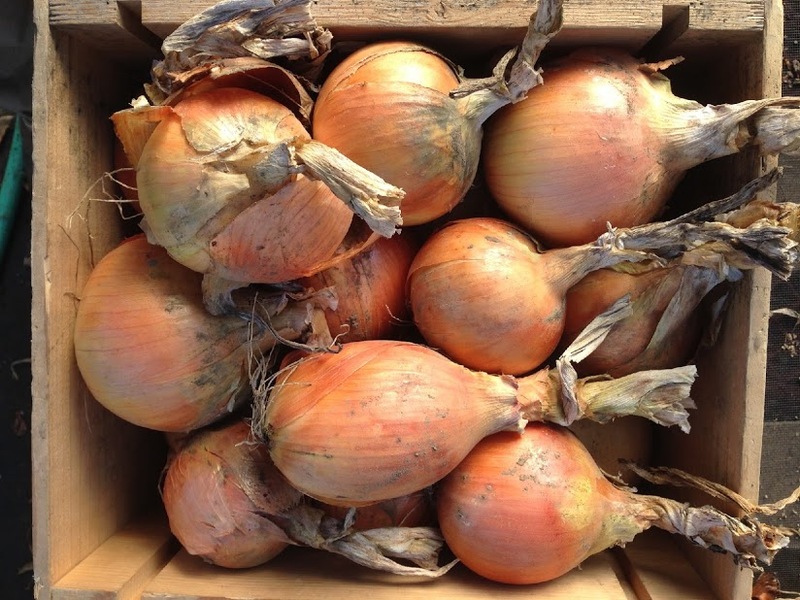 If kept in a cold, dark, dry place, these onions should keep well into the spring.